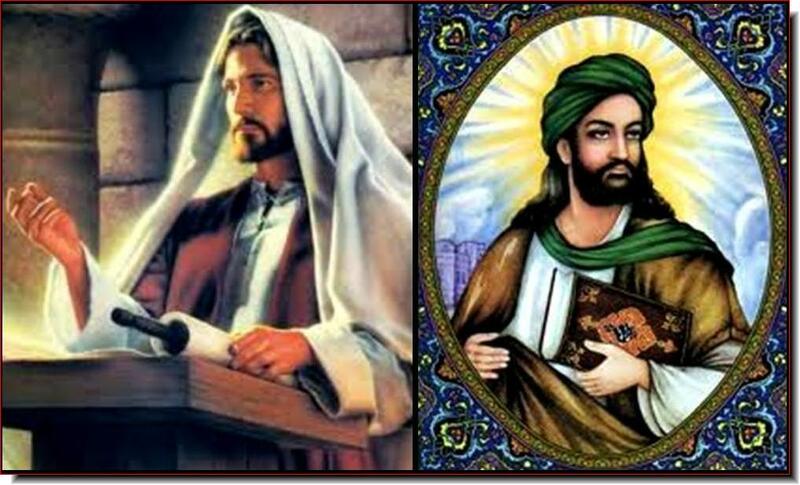 Muslims around the world believe that Muhammad and Jesus/ Issa were prophets of God. The Muslims however regard Muhammad as the greater prophet. My question to my Muslim friends is, if Muhammad was the greatest prophet, why was there no prophesy given of his coming? Not even one? The first coming of Jesus was prophesied long beforehand by the prophets of God in the Holy Scriptures. There are more than 300 prophesies concerning the first coming of the Messiah Jesus i.e. Yahshuah which means “God is salvation”. there are over 300 prophesies that were fulfilled by the Messiah. Why is there not one prophesy concerning the greatest prophet of them all, Muhammad? I find that very odd. If God or Allah as the Muslims call him gave us so much information in His Holy Book about Jesus, why not once did He give us any indications of the coming of Muhammad? If we compare Jesus and Muhammad, we find that Jesus performed miracles. He healed the sick, made the blind see. He cast out demons and raised the dead. He set the captives free. He rebuked nature. He forgave sins, something only God can do. To top it all off, He died for the sinners by shedding His own blood on the cross. He than raised Himself from the dead and ascended to heaven. He overcame death and defeated sin. He promised that those who would believe in Him would have their sins forgiven and have eternal life, to be for eternity in Heaven with Him. Did Muhammad do any miracles at all, did he heal the sick, made the blind see? Did he raise the dead, was he able to forgive sins? When Muhammad died did he raise himself and ascended to heaven? Jesus’ tomb is empty. Muhammad’s bones are still in his tomb in the Al-Masjid al-Nabawi (Mosque of the Prophet) in the city of Medina. Muhammad thought that he was demon possessed. Jesus cast out demons. Jesus who was sinless taught His disciple and followers to, “love one another as I have loved you”. He came as prophesied to die for the sin of the world. He who knew no sin became sin for us. He gave His life because God loved us so much that He gave His only begotten Son. Muhammad on the other hand conquered with the sword and killed those who would not convert to Islam. Muhammad did not teach love but hate. Many Muslims would say that their religion is a religion of peace. Looking at the world and the history of Islam, I think it is quite the opposite. No one, none of us can stand on his or her own righteousness, God regards our righteousness as filthy rags. Thanks be to God who imputed the righteousness of Christ onto the believers. Christians stand in the righteousness of Christ and not on their own. How glorious is that? My Muslim friend, consider Father Abraham. He believed God and it was accounted to him as righteousness as it is written in the good book: “And he believed in the LORD, and He accounted it to him for righteousness.” Genesis 15:6. “For the promise that he would be the heir of the world was not to Abraham or to his seed through the law, but through the righteousness of faith.” Romans 4:13. “He did not waver at the promise of God through unbelief, but was strengthened in faith, giving glory to God, and being fully convinced that what He had promised He was also able to perform. And therefore “it was accounted to him for righteousness.” Romans 4:20-22. Paul goes on to say that it was not only imputed onto Abraham but to all that come by faith: “Now it was not written for his sake alone that it was imputed to him, but also for us. It shall be imputed to us who believe in Him who raised up Jesus our Lord from the dead, who was delivered up because of our offenses, and was raised because of our justification.” Romans 4:23-25. Believing in Jesus Christ as Lord and Savior justifies the sinner before God. It is not what we have done, but what God has done for us in Jesus Christ. The blood of Jesus cleanses the sinner from all unrighteousness. King David knew this very well after his sin with Bathsheba: “Blessed is he whose transgression is forgiven, Whose sin is covered. Blessed is the man to whom the LORD does not impute iniquity, And in whose spirit there is no deceit.” Psalm 32:1, 2. The blood of Jesus was sufficient for the to the Father. He has forgotten every sin that was committed and He will not remember them. “For as the heavens are high above the earth, So great is His mercy toward those who fear (reverence) Him; As far as the east is from the west, So far has He removed our transgressions from us.” Psalm 103:11,12. My Muslim friend do you have that kind of assurance from Allah and his prophet Muhammad in the Quran? Can Muhammad give you forgiveness and eternal life? Can he wash your sins away and cleanse you from all unrighteousness? If you are not sure that you will go to heaven, don’t you think that is pretty risky not knowing were you will end up? Consider Jesus/Issa and His words. He is the only one that can reconcile you or anyone to the Father. He is the only way to the Father. But we must come through Him. I pray that you my Muslim friend would pick up the Bible the holy scriptures of God and get to know Jesus. Why He came and why He will come again for the believer and set up His kingdom here on earth. Not knowing were you are going for eternity, either heaven or hell, does that not scare you? Read the word of God and you will find Him. He will reveal Himself to you because He loves you and does not want you to perish. I’m getting a lot of comments on my blog. Can you tell me if you commented on my blog or elsewhere? to deceive people around the world started in arabia. Hi Jonas, thanks for your comment. I believe that most Christians know that Jesus did not look European. I chose this picture because it had both Jesus and Muhammad on it. The look of Jesus was not the reason I wrote this article. No one knows how our Savior looked like in His human form. The reason for this article was to show the difference between Jesus as Messiah and Muhammad as a mere man. I hope you read the article and not just looked at the picture. Blessings, Freddy. It’s funny how Christians portray Jesus as a person who has a European look. Jesus was Jewish and he looked like every middle eastern. Wake up people! hello my friend. first of all, the name of Mohammad is not in your holy book because your book has been modified. there are many gospels. if its gad´s words, so why there are many different gospels and changes. if Jesus is son of god why his enemies killed him and his father did not helped him. if you say he is son of god so why your book gospel says that hi is son of Joseph the carpenter. if you say Jesus is the prophet of peace and kindness why you drew animations of prophet Mohammad while you know this action provoke the sentiments of more than one billion of Muslims in all over the world. if you are true and you are the followers of Jesus why the pop spend 40 millions of $·while many children die for a piece of bread in every part of the world. if you are followers of Jesus why you produce nuclear bombs in and kill innocent people in Hiroshima and Nagasaki, and then prevent others from having it. as the followers of Jesus you most to learned this things from your prophet if you are good followers that i think there is nothing common between you and Jesus, so i can say that you are using the name of Jesus to get your interests.